Gov. 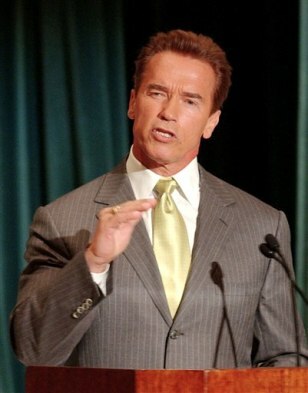 Arnold Schwarzenegger speaks in Los Angeles earlier this year. Since Schwarzenegger's election last October, Chevron has contributed more than $200,000 to his committees and $500,000 to the California Republican Party.